Lynda Griffith, a Doctor of Physical Therapy (DPT), is eminently qualified to write the book, Playing Well: Prevention and Biomechanics of Musician Injuries. Griffith has nearly 40 years’ experience in the orthopedic manual and physical therapy field. She began her career in athletic training and sports medicine and was a Certified Athletic Trainer through the National Athletic Trainers Association for 25 years. In that capacity she treated performers from world-class to weekend status in athletics, dance and music at a prominent sports medicine clinic in Seattle, WA. As an athlete Griffith participated in the sports of Olympic-style flatwater kayak, marathon canoe and rowing, as well as in intercollegiate and USVBA volleyball. 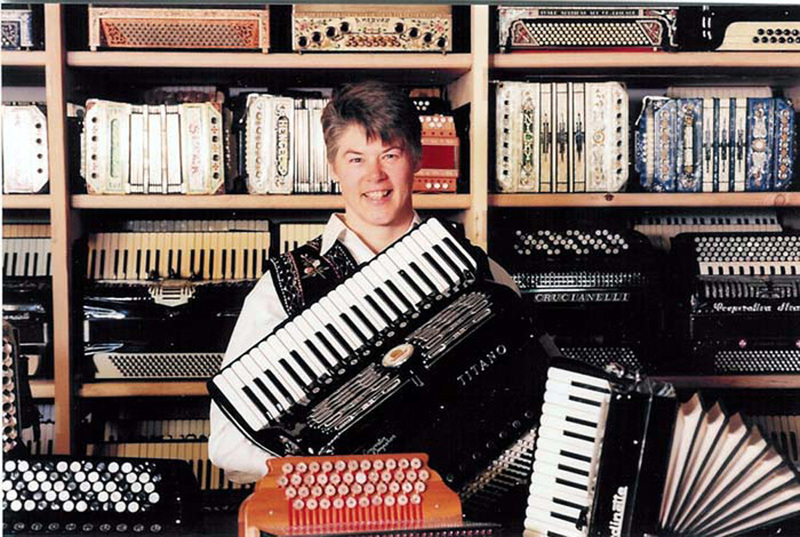 Dr. Griffith studied accordion performance formally in private studios with Nina Hart Ossinger in Seattle, WA and Helmi Strahl Harrington, PhD, in Superior, WI. She studied repair of accordion, concertina and bandoneon at Accordion-concertina Repair Technicians School and is a Certified Accordion Family Repair Technician Specialist. In her role as Assistant Curator of A World of Accordions Museum in Superior, WI, Griffith was responsible for instrument procurements, repairs and restorations, as well as teaching and assisting duties in the repair technician program. As a performer Griffith played piano accordion, button chromatic accordion, button diatonic accordion, English and Chemnitz concertinas in a trio with accordionist Helmi Harrington, violinist Carolyn Carver and other artists. Later she pursued a degree in music with accordion as her primary instrument at University of Wisconsin-Superior. Griffith received her doctorate in physical therapy from Simmons College in Boston, physical therapy certificate from Children’s Hospital of Los Angeles, and bachelor degree in Kinesiology from the University of Washington in Seattle, where she was trained in movement analysis, teaching and coaching. Griffith sits on the board of directors for Itasca Orchestra and Strings Program in Grand Rapids, MN, and she is a member of Performing Arts Medicine Association and Accordionists & Teachers’ Guild, International. As a licensed physical therapist in WA and MN, Dr. Griffith owned orthopedic private practices in Seattle and Grand Rapids. She has successfully treated and coached thousands of performers with injuries related to participation in playing musical instruments, sports and dance using a combination of individualized biomechanic analysis and gentle, effective soft tissue and joint mobilization techniques. Dr. Lynda Griffith can be contacted through the Playing Well website at www.playingwellbook.org and she is available to speak about topics of injury prevention, biomechanics and manual therapy treatment to your organization, group or studio event.